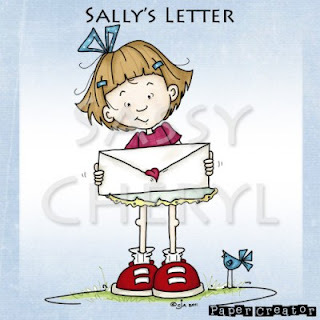 Here's a CAS style Valentine's Day card I created with this sweet precolored digi image called Sally's Letter from the Paper Creator store. Also used the polka dot print paper #10 (With All My Heart Kit) from the Ultimate Kit Mega Bundle for the top piece on the card. Cut out all the pieces including the scalloped border using my Silhouette Cameo. Flower, gem and twine are from my stash. This is in the Ultimate Kit Mega Bundle. 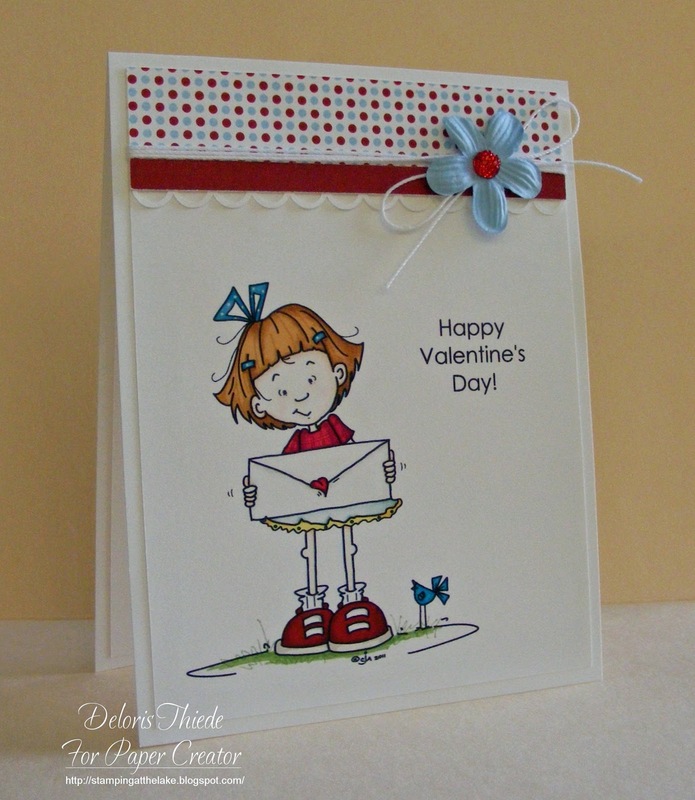 A beautiful card Deloris, a fabulous CAS design. So cute!!! How did you get the string so stiff and perfect around the flower....that's really cool!